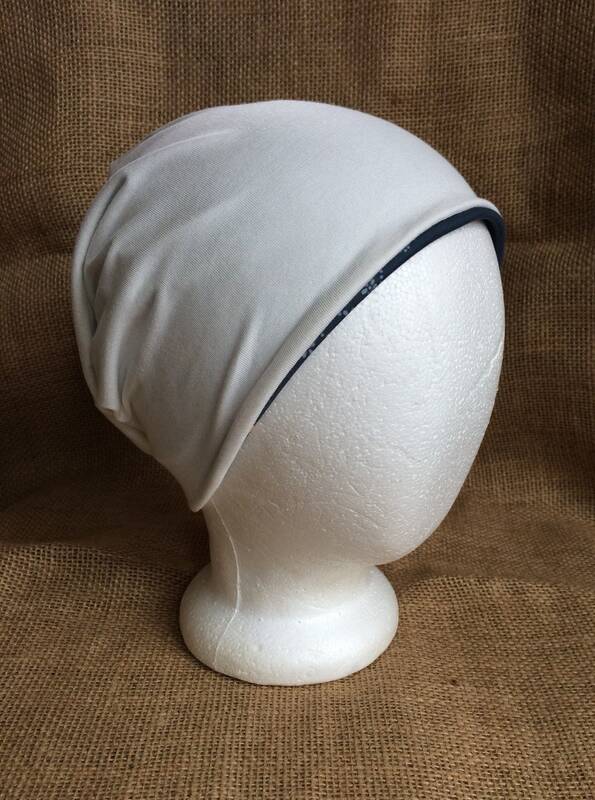 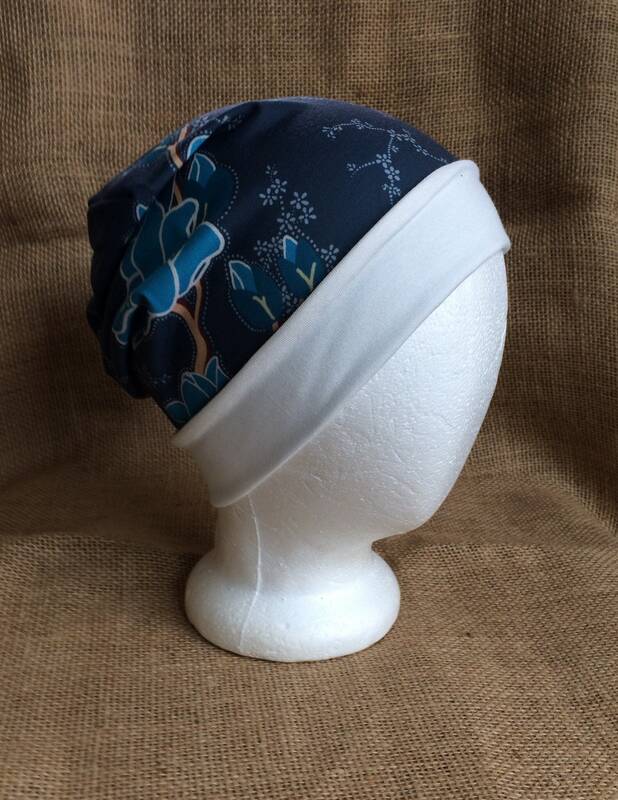 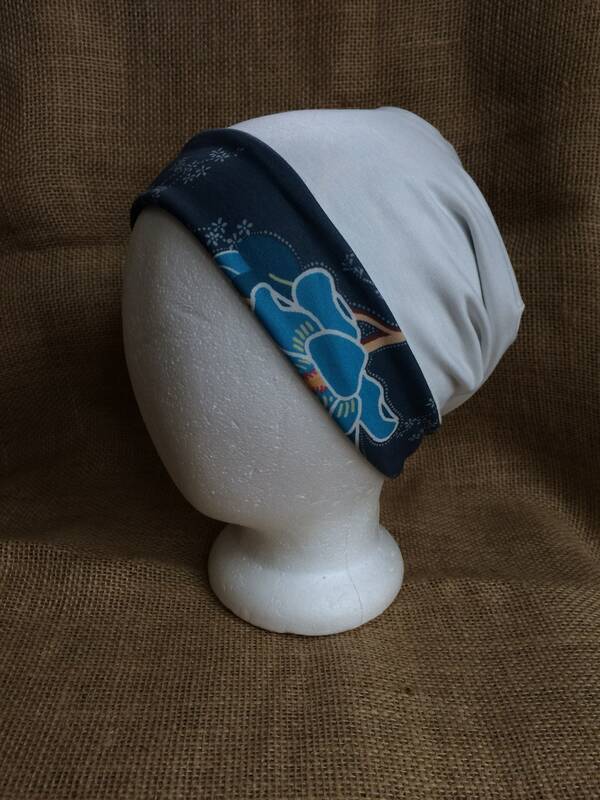 Reversible Super Soft Chemo Headgear slouchy beanie hat for Women. 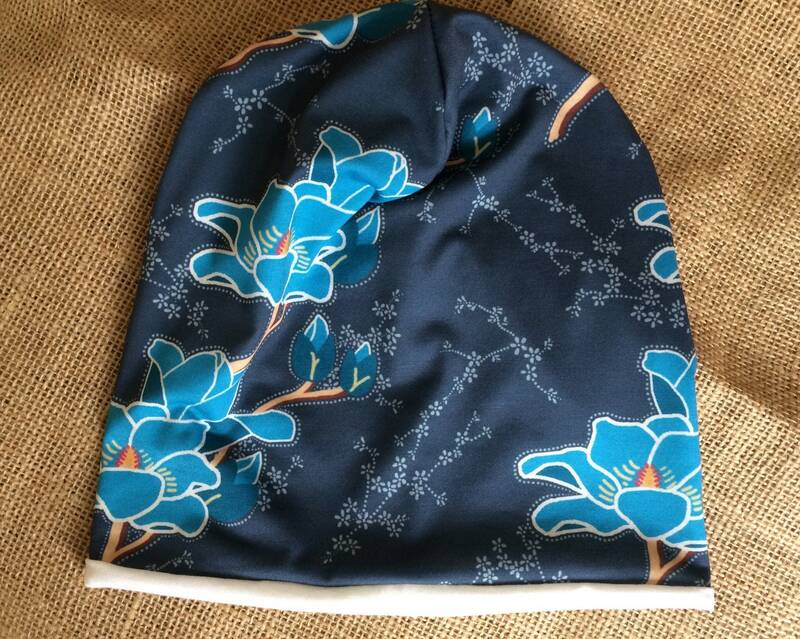 One side is eco friendly floral and the other side is cream white bamboo. 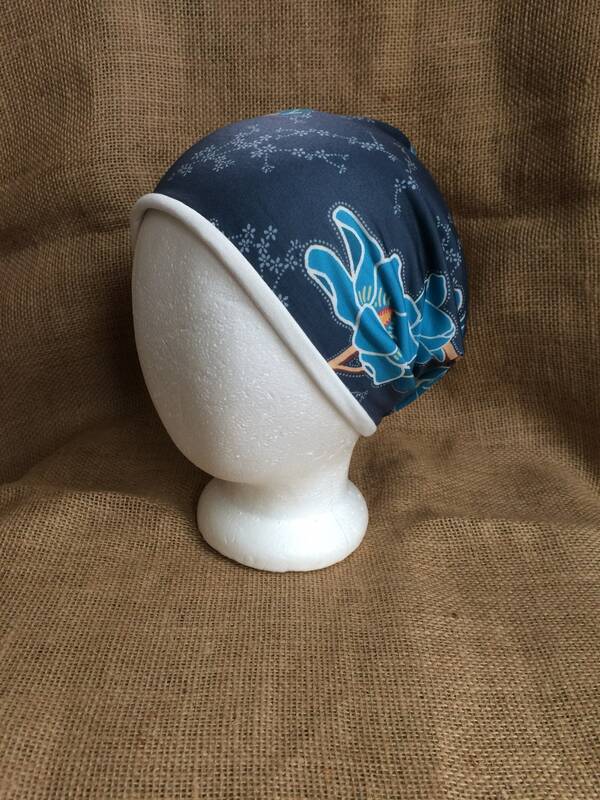 Who would guess one hat would have so many different looks! 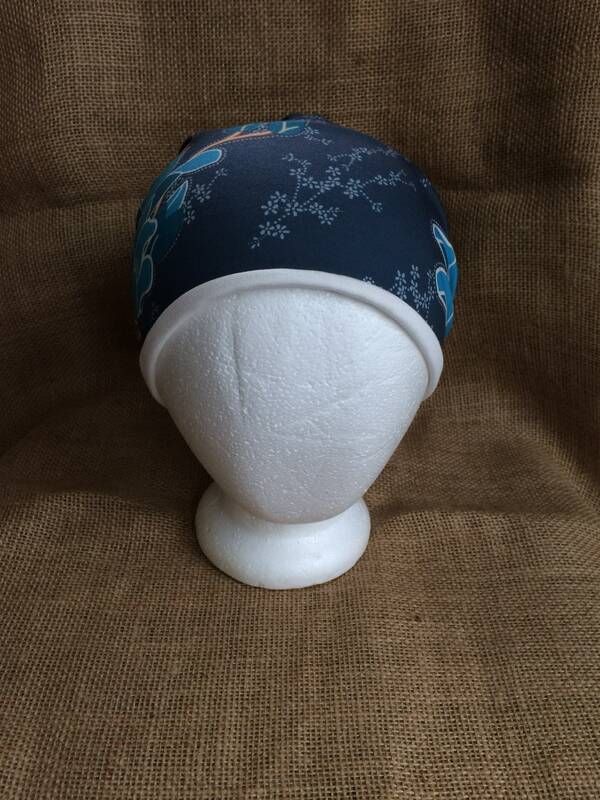 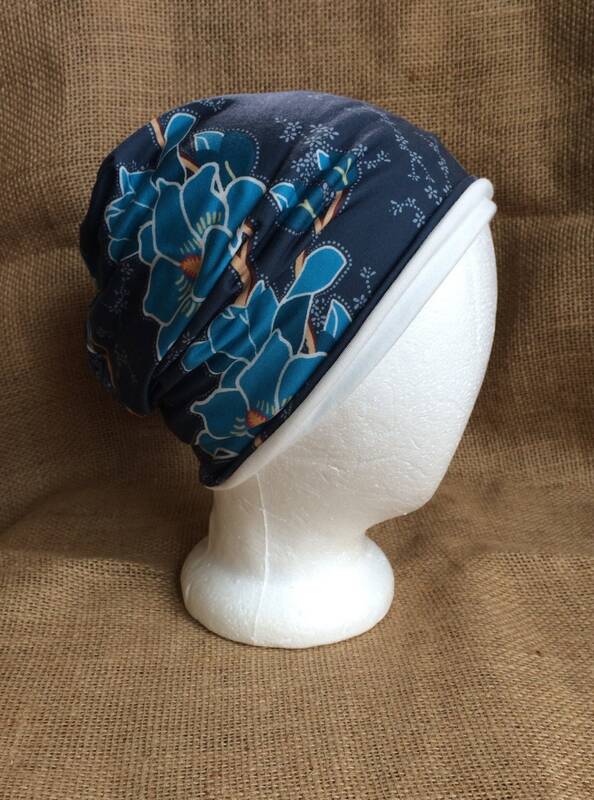 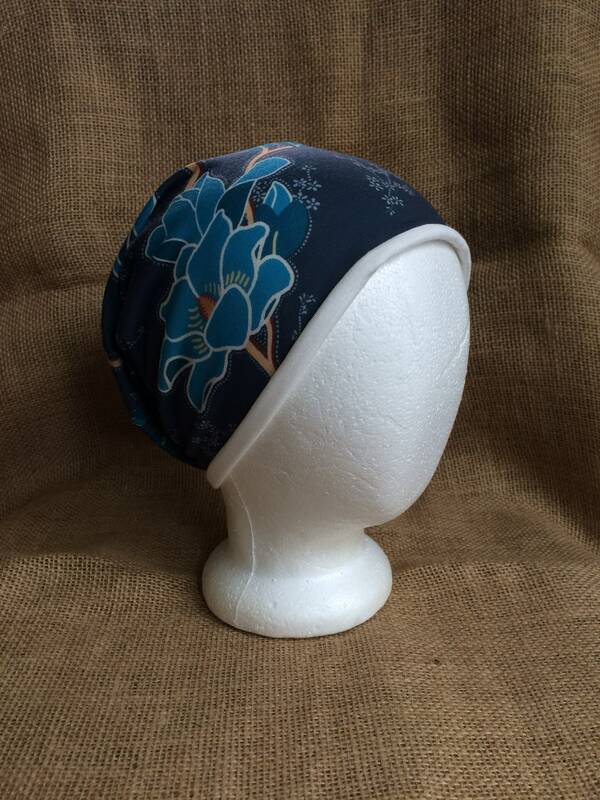 A floral hat as unique as you are-this fabric is an original design made from my drawings of teal magnolias with a hint of gray lace.